According to an announcement by the U.S. Treasury Department this afternoon, the U.S. Mint will no longer issue its popular Gold Buffalo bullion coin in plastic "mint sheets" anymore, as has always been customary. Instead, the Treasury says that "starting today [May 4th], all American Buffalo Gold Bullion Coin orders will be fulfilled using packaging similar to the American Eagle Bullion Coin packaging. . . in tubes and a hard plastic, outer protective case." To distinguish the American Gold Buffalo (AGB) rolls from their American Gold Eagle (AGE) and American Silver Eagle (ASE) counterparts, the protective plastic will be orange. Just like typical mint tubes for the Gold Eagle coin, authorized distributors will be receiving Gold Buffalos in tubes of 20 coins and 25 tubes in "Monster Boxes" of 500. By implication, this means that the American Gold Buffalo will be offered in Monster Boxes the same way the Gold and Silver Eagle are—in mint tubes—for the first time since the coin was introduced in 2006. 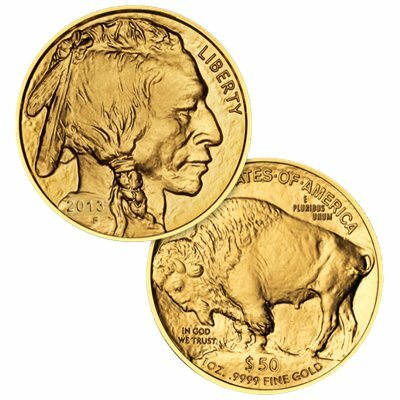 The Gold Buffalo is the U.S. Mint's only annually produced extra-pure .9999 fine gold coin, featuring James Earle Fraser's iconic Indian Head obverse design and American Bison reverse design from the original Buffalo nickel that circulated from 1913 to 1938. It contains the same 1 troy ounce of pure gold that the Gold Eagle does, as well as the same $50 denomination, but the Gold Eagle is struck from 22-karat (.917 fine) gold in the interest of the coins being more frequently handled by bullion traders.